From16 to 19 of November, 10thXiamen International Animation Festival was held in China, where Cyber ​​Sousawas awarded. 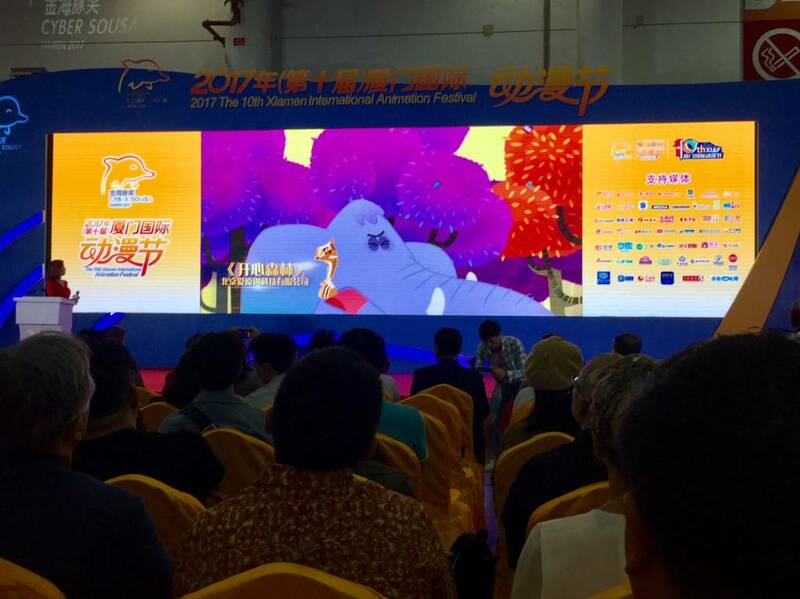 VAFI – International Children and Youth Animation Film Festival, presented by Hrvoje Selec as the honorary guest of the Festival in Xiamen,was presented together with the Creative Film Studio VANIMA. The Festival was held under the auspices of the Ministry of Industry and Information Technology of the People’s Republic of China, namely the Information Technology and Software Services Department, and the Fuji an Economic and Information Commission, under the auspices of the Xiamen National Board of China. The Festival is aimed at building a communication platform for professionals, a team of creative industry and animator artists, animation fans and computer games that are present at the huge exhibition center to attract investors in these areas. 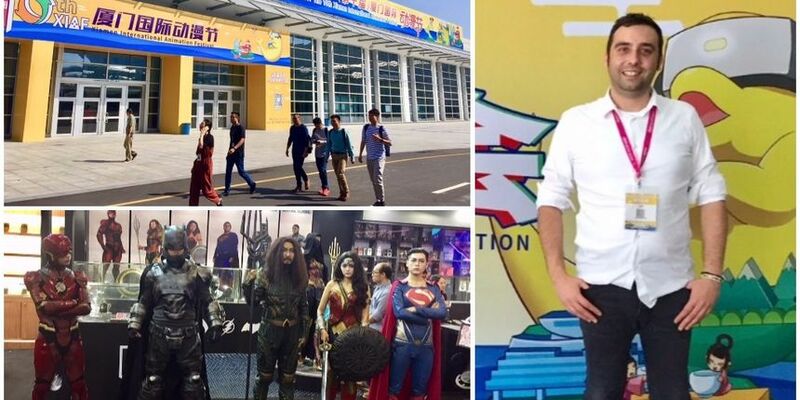 As part of the Festival, numerous presentations and conferences were organized, with lecturers leading animation studios, software developers for mobile applications, as well as representatives of the media in China. The VAFI Festival was represented by Hrvoje Selec as the Honorary Guest of the Festival in Xiamen, from Creative Film Studio VANIMA. This combination of animation as art, information technology and multimedia is a successful program that combines animation and animation enthusiasts, a software company with animators, and is aiming to develop new platforms, more competitive on the market, better quality media, technology platforms, creative industries and universities facilities. “I was invited to present the work of the VANIMA association and VAFI festival, which was an opportunity to present Croatian animation in general, ASIFA Croatia, Croatian Film Association, Croatian Audiovisual Center, and the City of Varaždin. I am glad that our cooperation with ASIFA China and PR China is continuing, and VAFI will be developing in a new direction, the aim of which will be to connect these areas in our environment. But all news that are waiting for us at the VAFI festival will soon be presented to the public as well as detailed arrangements and cooperation with China. Certainly, our Festival will be developed in a creative and innovative way, driving the future implementation and development of the Creative Industry Center in our area, “- said director of VAFI festival Hrvoje Selec. Submissions for the 10th VAFI and RAFI festival are OPEN!